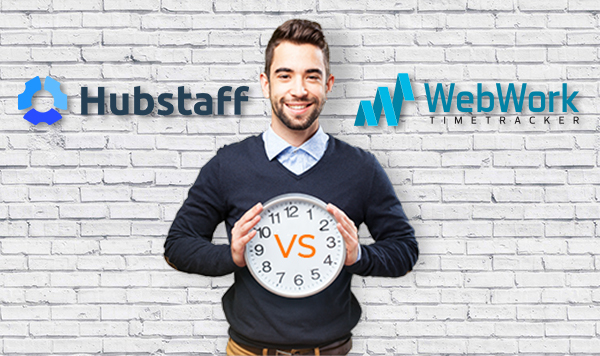 What would you choose, Hubstaff or WebWork? 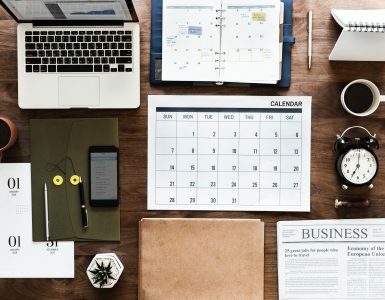 The growing trend of remote working encourages businesses to implement new techniques and technologies for employee monitoring and time tracking. Today, many software come to help employers to succeed in workforce management. 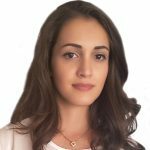 Although this gives managers an opportunity to find a relevant software for their projects and allocated budgets, the choice still remains challenging. To make a good choice in terms of quality-price, first, you should decide which particular features you really need. This way you can avoid paying for things you wouldn’t use anyway. 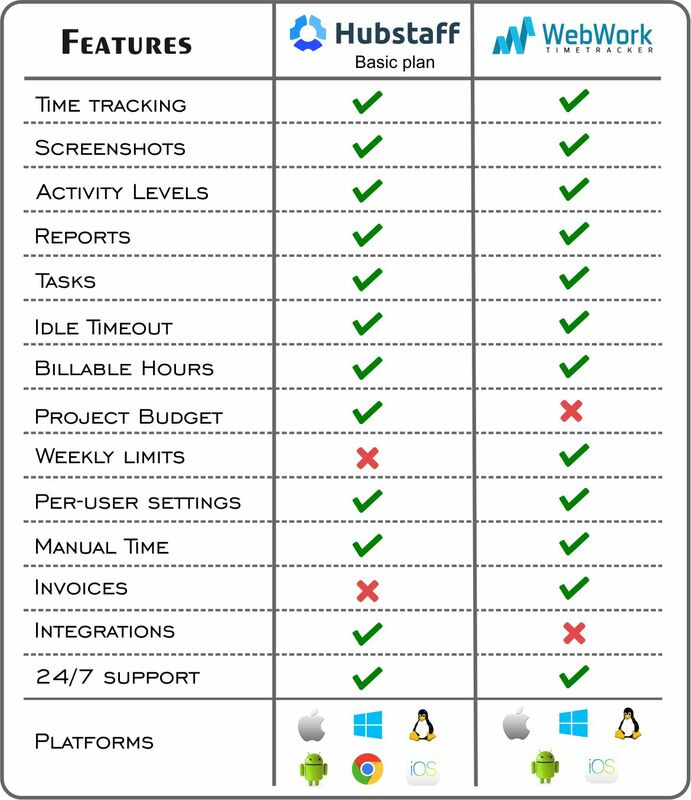 We have made a comparison of 2 time tracking software. time tracking software both in terms of features and prices to help you make an optimal choice. The first one is the well-known Hubstaff, which has already proven its quality and reliability. 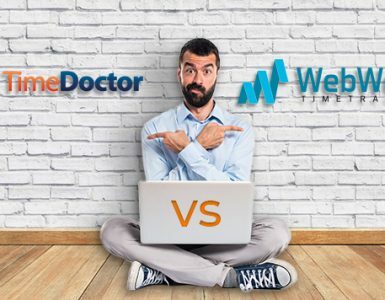 The second one is WebWork Tracker, which is present in the market for over 3 years. 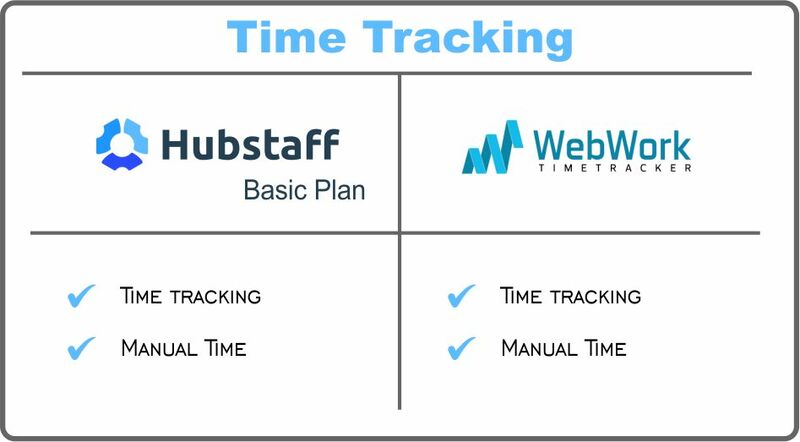 For our comparison review, we have chosen the Basic plan of Hubstaff Time Tracker and WebWork Time Tracker. The review is comprised of 2 main sections: Features comparison and Price comparison. Both trackers accurately track working time by projects and users. The Trackers also offer the manual time feature, so you can add your working time manually, if you have accidentally forgotten to click the “start” button” for tracking, for example. The screenshots are taken entirely random. 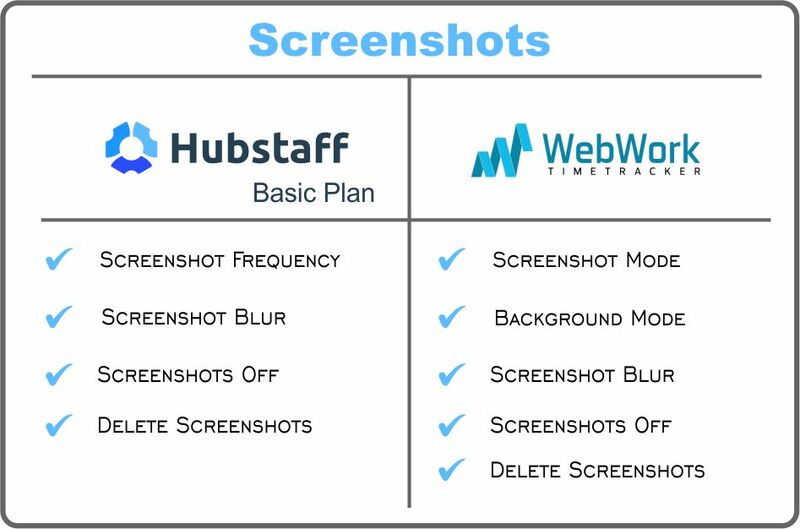 You can choose to take up to 3 screenshots per 10 mins. Otherwise, you can turn the feature off altogether. Another feature allows managers and owners to delete screenshots. Screenshot mode: the Tracker will take random screenshots of the screen once in every 10 minutes. Users get a notification about every screenshot with a small pop up. The user can preview, zoom the screenshot, type or change the activity description and can decide whether to keep the screenshot or to delete it. Only users can delete screenshots. Background mode: the Tracker will work silently on the background and will not notify you about screenshots. Blurred screenshot mode: users will have blurred screenshots. No screenshot mode: WebWork will track the working hours, record the activity level without taking any screenshots. 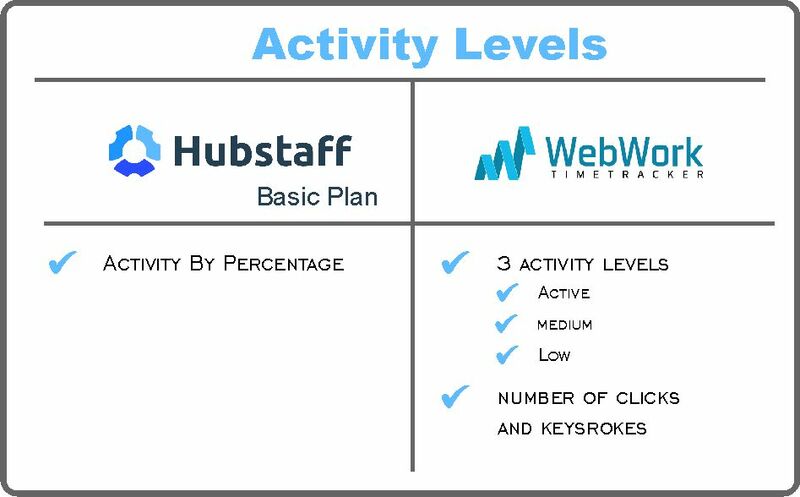 Hubstaff: the Tracker tracks the number of mouse clicks and keyboard strokes. Activity levels are estimated by percentage. WebWork: the Application tracks activity by mouse clicks and keystroke quantity. There are three activity levels: High, Medium, Low. Activity levels and the number of mouse clicks and keystrokes are shown in the Screenshot Report page. The color next to the user’s name indicates the average of the activity level for a whole day. 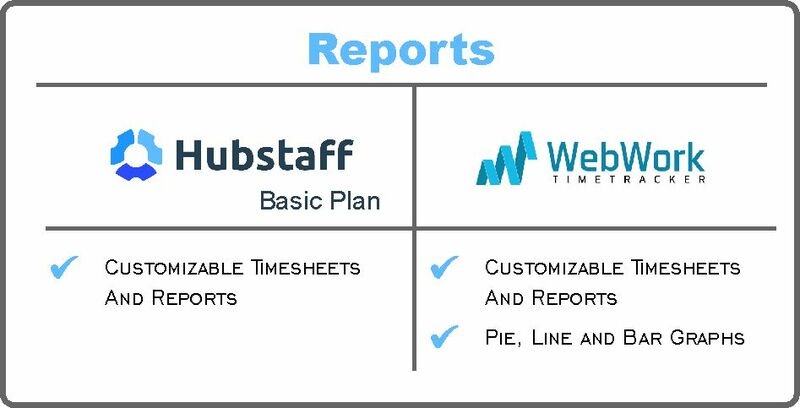 Hubstaff: it automatically generates reports and timesheets online. 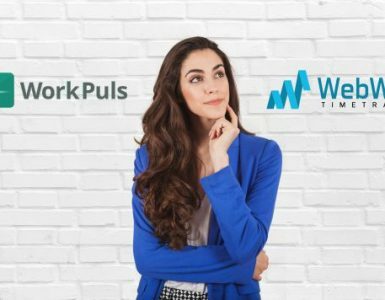 You can customize your employee work timesheets to include the data you need, and you can use these timesheets to calculate how much to pay employees for their time worked. WebWork: the Tracker offers 3 kinds of reports: Contract Report, Project Report and User Report. Then, Amount reports are designed to show the billed amount of each user by the period you choose. You are able to see the hourly reports by graphs: Pie, Line and Bar. Hubstaff: you can set tasks in particular projects and assign them to your team members. WebWork: you are able to organize tasks and easily reorder them with the drag and drop function. WebWork Task Manager has 2 boards: Checkbox and Kanban. On Kanban board, you can simply drag and drop your tasks from To do-Doing-Done. 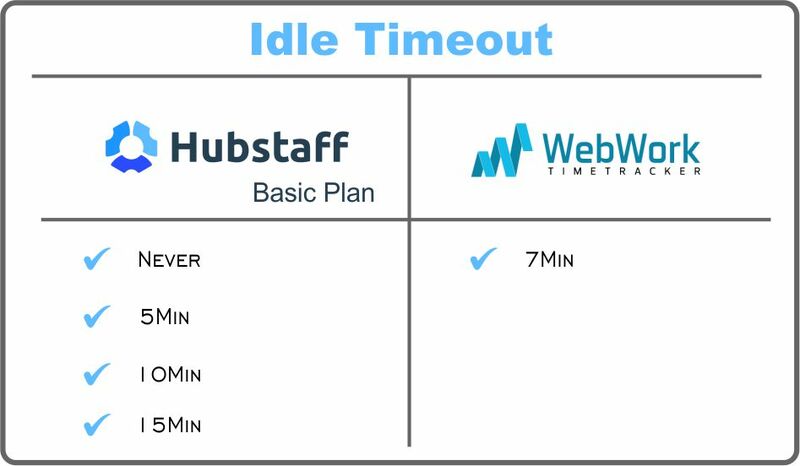 Hubstaff: the software offers 4 options of Idle Timeout: 5min, 10min, 15min or you can turn it off. Once the user stops interacting with the computer and goes idle, Hubstaff will ask if the user would like to remove the inactive time and continue or pause work. WebWork: the tracker has 7 min idle timeout by default. Hubstaff: the application allows you to set a pay rate for your team members. By setting a pay rate for a team member you can track how much you owe that team member for the time he/she has worked. Webwork: you can set an hourly rate to your WebWork contracts, by which you will track the amount of paid hours. You can set up the rate visibility from the Team list, depending on whether you want your team members to see all the financial information or not. 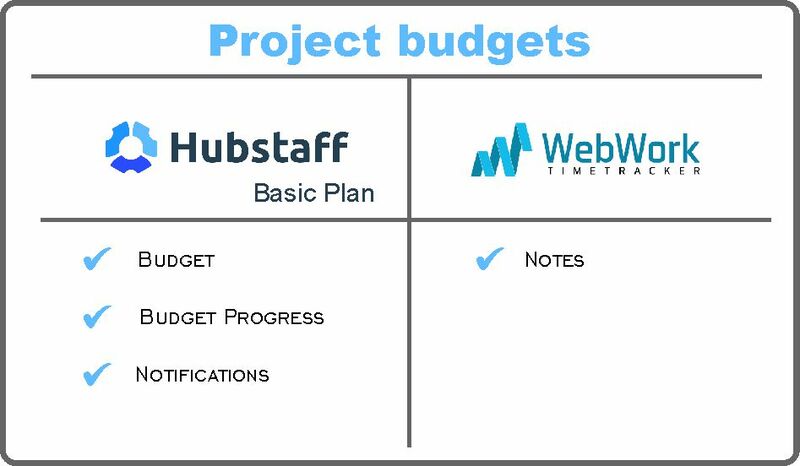 Hubstaff: the Tracker allows you to set project budget. The budget progress will be viewable from the project’s details page. Additionally, the system will notify you when a certain percentage of the budget is reached. WebWork: WebWork only allows you to make notes about your project budget. WebWork: you can set how many hours your team members can work per week. Both Trackers have customizable settings for individual users. Hubstaff: the tracker offers live chat for customer support. WebWork: You can get assistance for any issue 24/7 through tickets. WebWork: you are able to generate invoices and send them to your clients or partners. You can generate invoices by projects, users, activities or by any combination. Also, you can customize your invoice by uploading your logo. 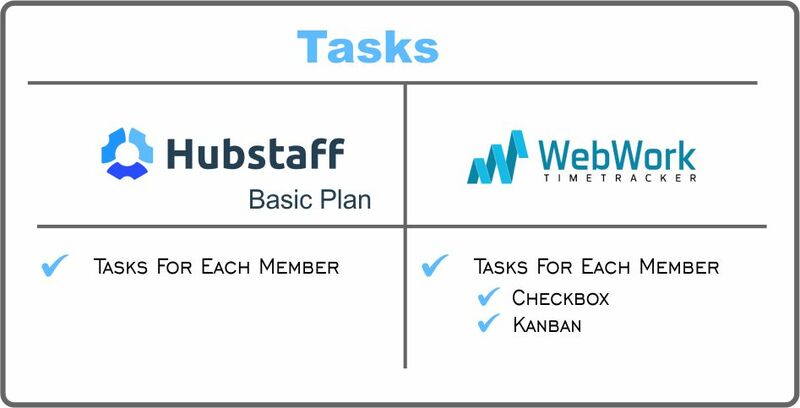 Hubstaff: Hubstaff includes one integration for Basic plan. There are 30+ tools for integration. You can choose the one you want. Now, let’s make the comparison of prices! WebWork Time Tracker’s pricing policy was last updated in the middle of 2017. First of all, we should mention that WebWork has 5 user types for each team. Those are Owner, Executive Manager, Project Manager, Employee and Client. The owner has no subscription fee although he/she can track his/her working time and generate reports. Owners can invite an unlimited number of clients. There is no subscription fee for clients as well. Clients have the role of observers. They can view screenshots, statistics and reports. The owner pays a monthly fee of $2.99 only for each of his/her managers and employees. For example, if the team is composed of an owner, 2 clients, a manager and 2 employees, the monthly fee will be only $8.97. Namely, the owner pays only for its workers. WebWork Time Tracker offers customizable pricing for teams with more than 40 members. The discounts are different for each team depending on the size and period of subscription. Team owners don’t have to choose and buy a membership package. Instead, they can add their team members, work on their projects and pay for the membership later, at the end of each month. Moreover, for example, if you had 20 team members during the month, but on the date of generating the invoice there are 3 of them, you will pay only for those 3 members. Hubstaff has a different pricing system. The plans go in fixed sizes (1 user, 3 users, 5 users, etc.). Each size group has 2 plans: basic and premium. 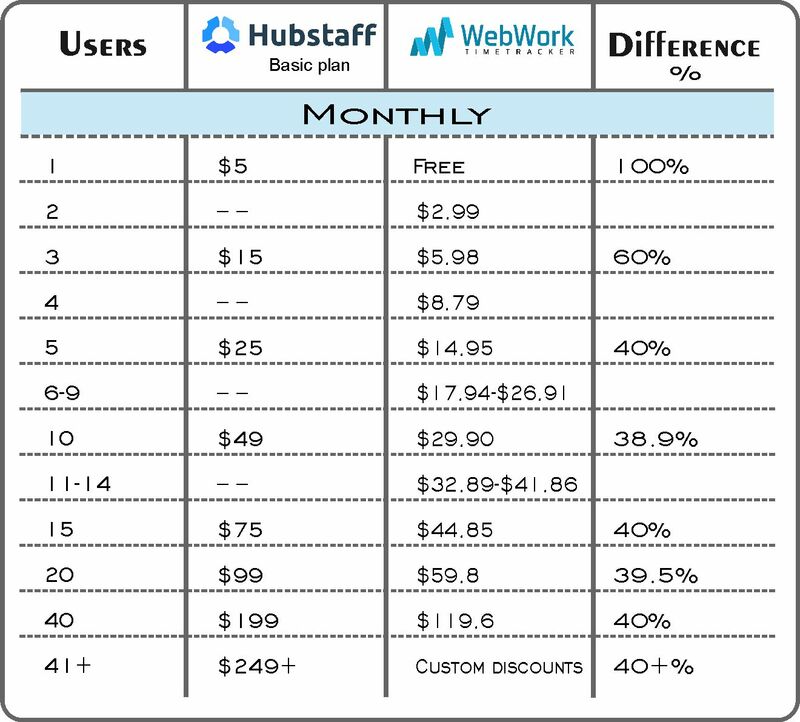 Basic plan has $5 fixed price per user per month. Annual subscription cost for the basic package starts with $49 and increases with fixed size plans. Overall, the annual package is the same as subscription of 12 months with a discount of 2 free months. Unlike the basic package, the premium package has no fixed price per user and the average cost increases as the team gets bigger. 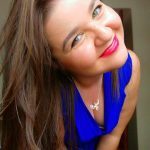 For example, in the case of one user the cost is $9, and for a team of 90 users, the monthly fee is $899 (about $9.9 per user). The annual package works the same way as in the case of the basic package. It starts with $99 for a user and offers almost 2 months free usage. 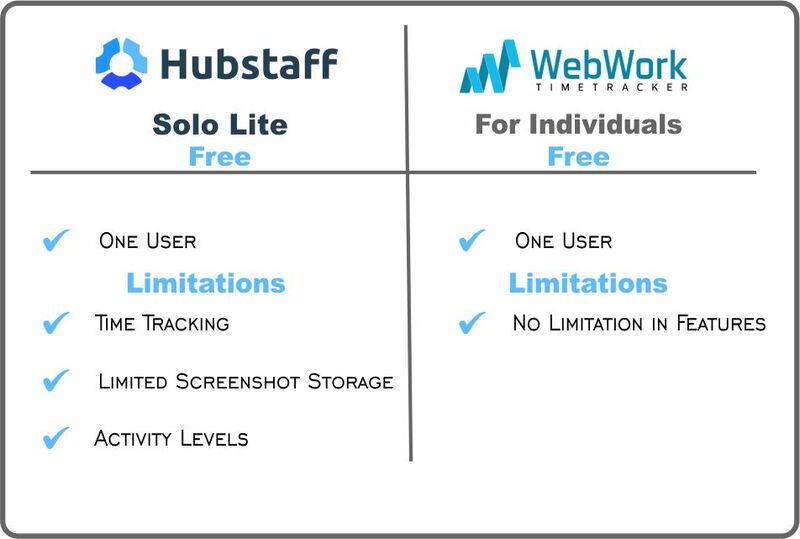 Hubstaff offers free Solo Lite package for one user with limited features of time tracking, screenshots (limited storage), and activity levels. Conversely, WebWork Time Tracker offers totally free usage for individuals without any limitation in the features. So, let’s discuss the main differences in pricing. Both of the time trackers offer a free package for solo users. 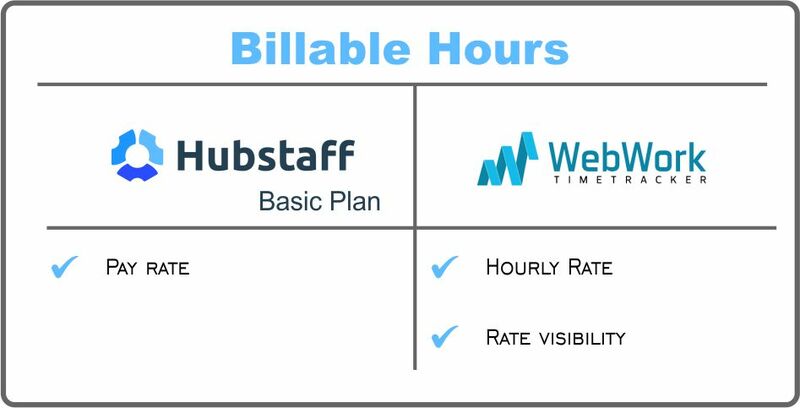 But, while Hubstaff offers only 3 features in the free plan, WebWork has no limitation in the features. 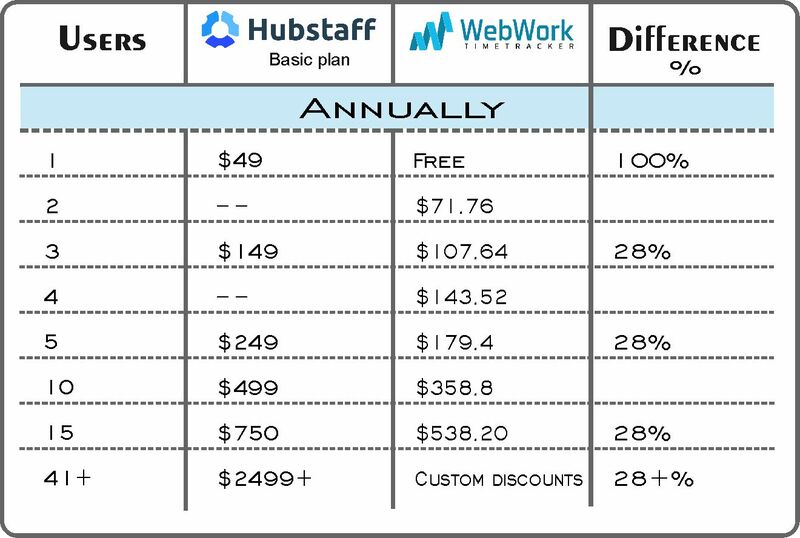 Secondly, WebWork’s prices are about 40% (monthly) or 30% (annually) lower than Hubstaff’s Basic package prices. For example, for a team of 40 members, you can save about $80 per month using WebWork, having the same features of Hubstaff’s basic package. Finally, Hubstaff offers a 14-day free trial after which the user should purchase a package before starting to work. Yet, WebWork doesn’t have a free trial. Instead, team owners can work on their projects and pay for the membership later, at the end of each month. If you don’t like your experience simply don’t pay for your membership once the due date is expired, your account will be blocked automatically. Here we are now! A thorough comparison between the two major time trackers has been made. The decision is yours now! Which one would you choose?